All original paintings ship free one way to the USA and Canada.Start your collection of original artwork with this wonderful painting by established artist Tracy Lynn Pristas. Created with all archival materials and made in the USA. Modern interior design trends are bringing copper wall decor accents into homes,making them shine and seduce with majestic appearance of this metal. Stay current with this truly original richly textured abstract painting print. Pristas was deeply inspired by copper the metal of the moment to create this new on trend series. Her use of various subtractive glazing techniques and the surge of turquoise and textured stars add a southwestern flair. Start your collection with one or all three from this series of archival high quality originals. Modern interior design trends are bringing copper wall decor accents into homes,making them shine and seduce with majestic appearance of this metal. You can stay current with this truly original richly textured abstract print. Modern interior design trends are bringing copper wall decor accents into homes,making them shine and seduce with majestic appearance of this metal. 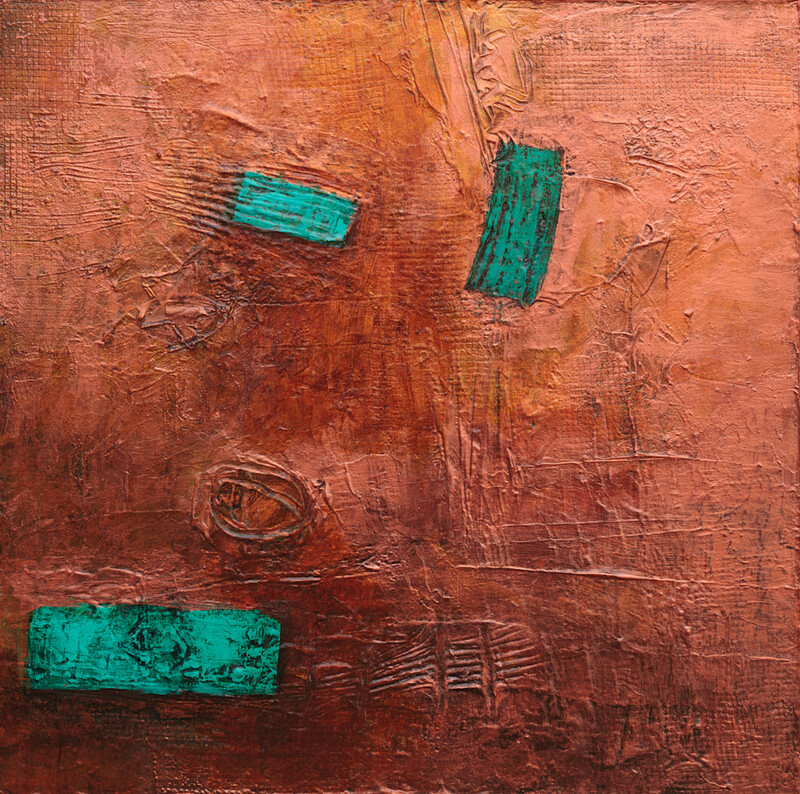 Stay current with this truly original richly textured abstract painting print. Pristas was deeply inspired by copper the metal of the moment to create this new on trend series. Her use of various subtractive glazing techniques and the surge of turquoise and textured stars add a southwestern flair. Purchase one or all three in the series now available as prints. We want you to be completely satisfied with your Tracy Lynn Pristas purchase. If you want to return your art for any reason you may do so within 14 days of receipt and receive store credit for a future purchase. Please note you will need to get pre-approval for returning an art piece by emailing tracy@painterpristas.com or calling 773 580- 6446. You are 100 % responsible for any return shipping costs. 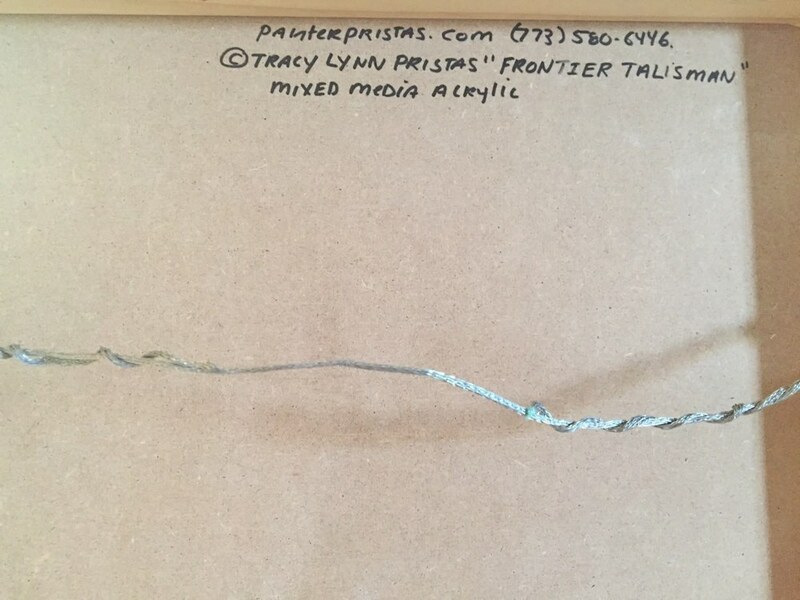 One of the reasons that seasoned collectors select a Tracy Lynn Pristas original is because of her high standards of the archival materials she uses. Most original paintings over 24 x 24 are painted on museum-quality locally made stretcher bars built to last 100 plus years and will be noted as such. All oil paint is the highest quality richly pigmented Williamburg and or Gamblin, both made in the USA. All acrylic paint is Golden also manufactured in the USA. © Copyright 2019, Tracy Lynn Pristas, All Rights Reserved.